Add Value to Your Calgary Home With Smart Landscaping…and Do Less Work, Too! If you’re looking to add value to your home, investing in professional landscaping is one of the most cost-effective ways to do it. Studies have shown that even modest improvements in your home’s landscaping can have a dramatic effect on its resale value, potentially adding more than 5%. Considering that the average Calgary home is currently worth about $440,000, you can see that a modest investment in landscaping could one day put tens of thousands of dollars in your pocket. This can also have a trickle-down effect, boosting the values of neighbouring properties as well. 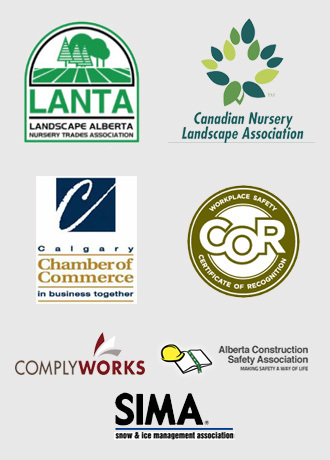 All in all, professional Calgary landscaping is one of the easiest and most cost-effective ways to generate positive returns on your home upkeep investment. Patios are fantastic for homeowners who love to entertain guests and get outside during the warm weather. Yet, they also offer another benefit that’s often overlooked: they reduce the amount of lawn space in your back yard, and that means easier upkeep of the remaining landscape elements. If you’re looking to reduce the amount of time and labour you need to spend maintaining your yard, a patio is an excellent option. Walkways are another charming element that work very well in larger yards, creating demarcations of space while guiding visitors and guests. Retaining walls are used to provide stability in elevated areas and property zones with steep slopes. Beyond preventing the slippage of soil, rocks and earth from higher areas to lower ones, retaining walls can also add striking visual appeal to your property. Their appearance can easily be customized to complement your property’s existing landscape elements in a prime example of beautiful form meeting practical function. In some cases, slopes and elevations don’t need to be altered to improve stability, but still pose hazards and annoyances. It can be difficult and even dangerous to mow grass in a hilly or sloped area, and some homeowners elect to replace slopes with garden elements like shrubs or flowerbeds. Beyond beautifying your property, shrubs and flowerbeds are far easier to maintain than lawns that spread across multiple elevations. Underground irrigation systems are an advanced feature that makes your home more attractive to buyers, given their convenience and ease of use. Beyond helping keep your lawn looking its best during the warm-weather months, built-in sprinkler systems also help you save water by using a highly targeted technique to deliver moisture to key areas. No more aimless, high-volume spray! If you’re looking for a combination of resource conservation and reduced home upkeep needs, an underground irrigation system may be for you. They’re especially helpful if you have an expansive yard that’s difficult to water manually. Natural gas fire pits are yet another great way to enjoy the warm weather here in Calgary. While they offer a great way to socialize and enjoy the company and family and friends, they also require a great deal of planning and forethought. Safety is a prime concern when it comes to outdoor fire pits, and the crew at Mirage Landscaping can secure all the permits you need while offering the steady hand that comes with experience and professionalism. For three generations, family-run Mirage Landscaping has been delivering excellent value to homeowners in the Calgary area. We take great pride in our work and always strive to do the best job possible, but we’re also mindful of keeping customer costs as low as possible. We recognize that many homeowners are working with limited budgets, and thanks to careful planning and hard work, we help you get the most out of your landscaping investment. In addition to regular upkeep and property maintenance services, we also offer a complete range of outdoor construction services to homeowners throughout the Calgary area. You’ll be surprised just how affordable our services are! 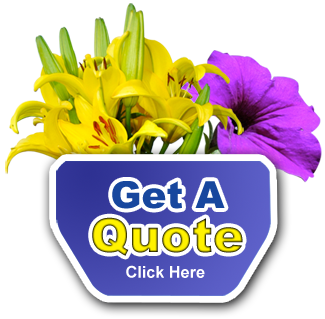 Visit us today to get a fast, free service quote.